Under Australian trust law, a trustee bears unlimited personal liability for all debts, liabilities and expenses incurred by a trust. In commercial trusts, such debts and liabilities may run to many millions of dollars and even billions of dollars. Thus, trustees usually seek to limit their personal liability through a limitation of liability clause in the documents which they execute in their capacity as a trustee for a trust. However, across the Australian market, there is no uniformity in limitation of liability clauses, which often leads to frustration for both trustees and parties who enter into agreements with trustees. an exoneration right (the trustee’s power to apply trust assets directly to discharge trust liabilities). a trustee’s right of indemnity is subject to its first making good any loss or damage caused to the trust fund by previous breaches of trust (“clear accounts” rule). Both rights are commonly conflated, because they save trustees from the consequences of incurring trust liabilities. But the former is only to the trustee’s personal benefit, while the latter can be seen as simply part of the general power of the trustee to apply trust assets for trust purposes. Moreover, these rights are backed by a proprietary right of the trustee to retain trust assets and use them to satisfy those rights. Consequently, trust creditors cannot obtain a writ of execution against trust assets. Creditors may take steps to mitigate the risk that the first condition above is not satisfied, but there is little they can do to protect themselves against the risk inherent in the clear accounts rule. Indeed, the misconduct of the trustee may be unknown to the creditor and potentially even unknowable. Subject to a well drafted limitation of liability clause, the trustee continues to be personally liable for trust liabilities whether or not the trust assets are sufficient to discharge them, even if that renders the trustee insolvent. Trustees generally want to limit their exposure for trust liabilities to the trust assets so that their solvency is not at risk. This is particularly important where a trustee is an external trustee, like members of the One Investment Group, that is appointed as a trustee for many trusts as opposed to a special purpose company with limited assets. Unsecured trust creditors may be asked by a trustee to look to the credit of the underlying economic entity (e.g. the trust estate or fund). If they are satisfied with that credit they are usually prepared to limit the trustee’s liability (or their own recourse) to the trust fund. However, counterparties may wish to protect themselves from the possibility that access to the trust assets may be lost or impaired due to trustee misconduct, in which case they will want to look to the trustee and its own assets. This can be achieved by a correctly drafted limitation of liability clause in a contract. A limitation of liability clause seeks to achieve an agreed allocation of risk between the trustee and a counterparty entering into an agreement with the trustee in its capacity as a trustee of a trust. Limitation of liability clauses must be drafted with care because the courts will approach them with caution, as they operate to limit or reduce the extent of the legal remedies which the counterparty would otherwise have against the trustee. Limitation of liability clauses were historically very short and simple, however limitation of liability clauses have become increasingly complex. Many current limitation of liability clauses use inaccurate technical concepts and some appear to misconstrue the law. Indeed, in the typical commercial transaction, there is neither the time nor the inclination to put them to rigorous analysis, particularly when there is much else to be negotiated. A professional trustee, or corporate trustee, such as members of the One Investment Group, typically have a very low risk appetite for taking personally liability for a trust liability. This is in order to ensure that the liabilities of any given trust are not able to place such trustees at risk potentially impacting other trusts. An appropriate limitation of liability clause should address such issues in a manner that is consistent with commercial understandings and risk allocation decisions which are common in the Australian market. might be restricted where the parties may agree that it is appropriate for the limitation not to apply in respect of the resulting loss or damages if certain core representations/warranties or undertakings are breached. Members of the One Investment Group act as Corporate Trustee for in excess of 250 Funds with a wide variety of underlying asset classes including fund of funds, private equity, real estate, credit, cash and equities.  As a result of members of the One Investment Group being an external trustee, these members have a low tolerance for accepting any liability resulting from their role as trustee.